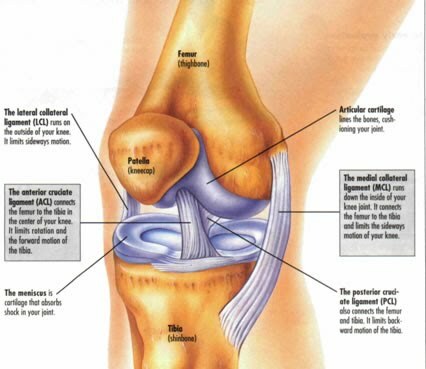 The knee joint is made up of three bones: the femur, tibia, and patella. The ends of the tibia and femur are covered with a thin cartilage allowing a smooth joint surface and reduced friction during movement. Additionally, there are two C-shaped menisci in the knee that serve to absorb shock and evenly distribute forces across the knee. Finally, various ligaments, tendons, and muscles provide support and stability. 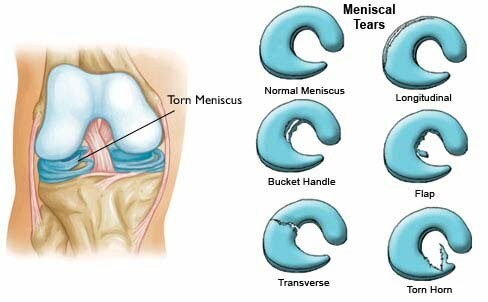 The outer 1/3 of the meniscus has a blood supply (red zone) and a tear in this area may heal on its own. The inner 2/3 of the meniscus lacks a blood supply (white zone) and typically does not heal without surgery.